Trade deficit with the United States would worsen in the near term because of decline in the U.S. savings rate caused by tax cuts, said Barry Eichengreen, professor of economics and political science with University of California, Berkeley on Monday. Speaking on the sidelines of a seminar on "The Economic Consequences of Mr. Trump," Eichengreen said, "People are paying less taxes and buying more." The U.S. recently posted 50.1 billion U.S. dollars of trade deficit in goods and services in July, the highest level since February. 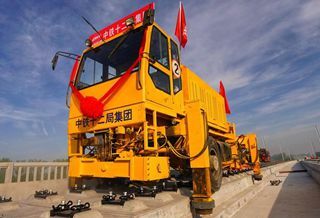 Monthly averaged trade deficit with the U.S. would further rise to 55 billion U.S. dollars in the fourth quarter of 2018 and stay at 53 billion U.S. dollars in 2020 after a decline in 2019, according to forecasts by Trading Economics. U.S. trade deficit is likely to grow 5-6 percent in 2018 as growth in Europe shows signs of modest slowing down and China is importing less major categories from the U.S. amid trade tensions, according to Glenn Somerville with publisher of business forecast Kiplinger. U.S trade deficit expanded 12 percent to 566 billion U.S. dollars in 2017 and personal savings rate was averaged 6.7 percent in 2016 and 2017 with 8.8 percent of savings rate at 8.8 percent in 2012.